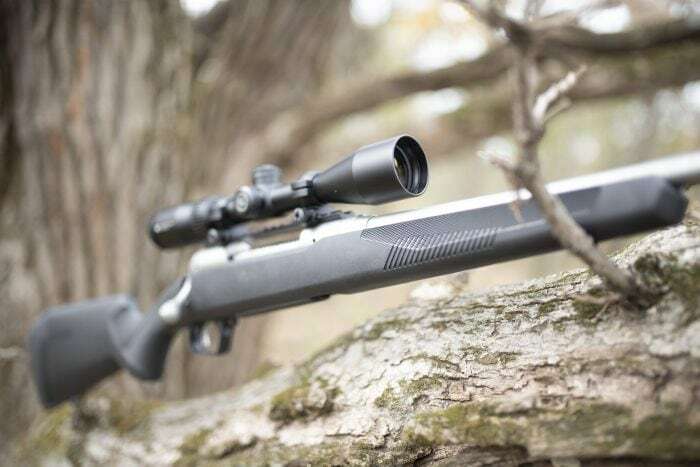 Geared at sportsmen looking for an effective hunting rifle right out of the box, Savage‘s new Apex series mates Model 110 bolt guns with Vortex glass. Available in the blued 110 Apex Hunter model and stainless 110 Apex Storm, each comes standard with a 3-9x40mm Vortex Crossfire II scope that has been factory mounted and bore-sighted. The optic uses Vortex Hunter medium rings and is mounted on a one-piece EGW 0 MOA rail. The scope incorporates Vortex’s Dead-Hold BDC reticle, which Savage says makes it easier to place accurate shots at extended range. 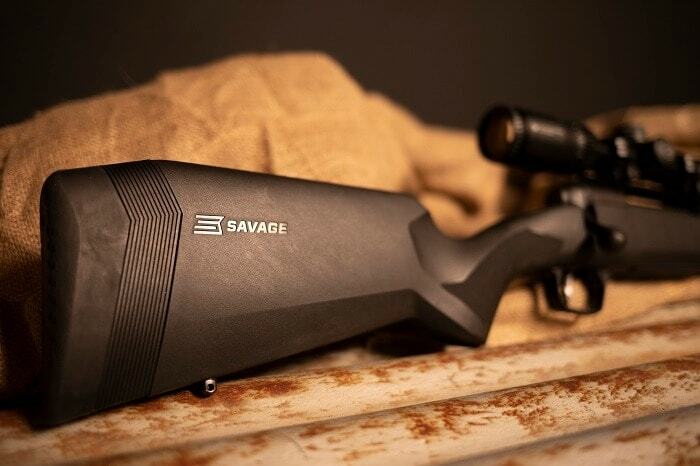 The Savage 110 Apex series includes the right-or-left-hand Hunter model in a blued finish, top, and the right-hand-only stainless Storm, bottom. 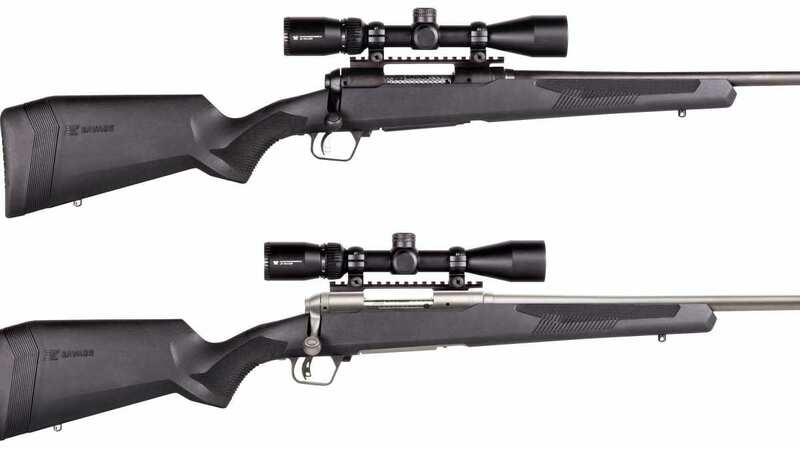 Offered in 16 calibers from .204 Ruger to .338 Win Mag common across the 110-series, each rifle comes with a synthetic stock that is adjustable for length-of-pull through user-configurable inserts. Also up to the user is the adjustable Savage AccuTrigger. The series uses a flush-fit detachable box magazine that varies in capacity between two and four rounds depending on caliber. Similarly, barrel lengths run from 20-inches in .204, .223 and .22-250 to 24-inches in more long-range chamberings such as 6.5 Creedmoor and .300 WSM. The blued 110 Apex Hunter, which retails for between $684 and $729 depending on the model, also includes offerings for left-handed users as well as equipped with a Muddy Girl camo finish. The stainless 110 Apex Storm, set at $739 across the board, is only offered in right-hand bolt patterns. In all, the Apex series is available in nearly 50 models that vary between finish, caliber, and bolt-pattern but all incorporate a synthetic adjustable stock, mounted Vortex optics and Savage’s 110 action.